The San Pedro Town Council on Thursday October 10th handed over a donation to the San Pedro Darts Team. The assistance given to the local darts team is to help them meet expenses as they make final preparations to host the annual National Darts Tournament organized by the Belize Darts Federation. 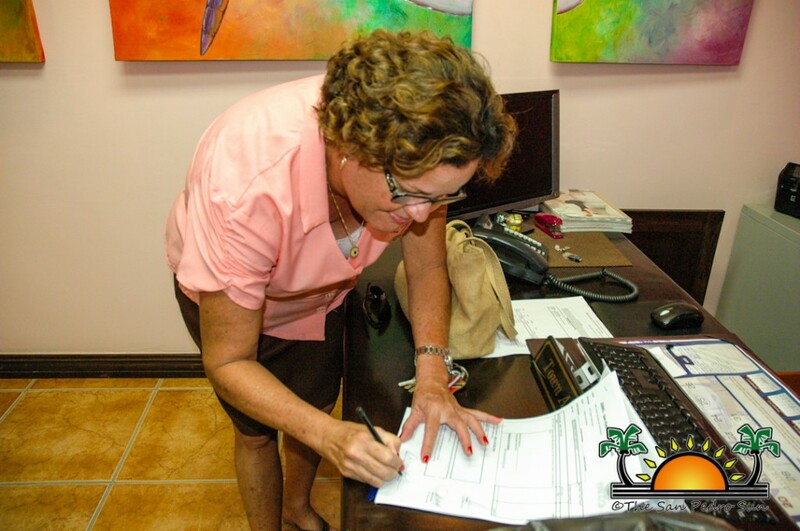 The tournament, which is hosted at different venues annually, will be held on the weekend of October 11th to the 13th in San Pedro Town at the Lions Den. 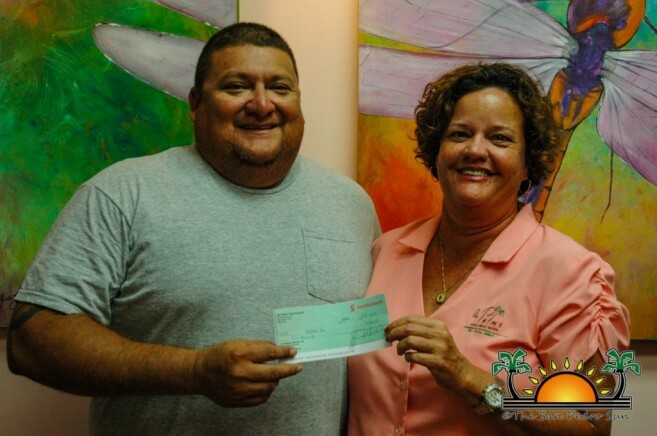 The donation of $1000 was handed over by Councilor responsible for sports Gabriel “Gaby” Nuñez. In handing over the donation, Councilor Nunez said that the small contribution is a part of the council’s commitment to the strengthening of sports in the community. Receiving the donation was Melanie Paz, member of the San Pedro Darts Team. Paz expressed her gratitude for the much needed funds and said that monies will go a long way. The San Pedro Darts Team has won the tournament for the past two consecutive years and according to Paz, they expect the home team to retain the championship on home turf. The San Pedro Darts Team will be hosting four other teams from Caye Caulker, Belize City and San Ignacio Cayo over the three days of the tournament. The event will start at 6PM at the San Pedro Lions Den. It has been over eight years since the local team has hosted the Annual National Darts Tournament. The San Pedro Darts Team earlier in the week also received a donation of $2000 from the Minister of Tourism and Culture and Area Representative Hon Manuel Heredia Jr.